Given my complicated relationship with lentils, it’s amazing how many dishes containing lentils I have eaten during my time abroad in Israel. Within a few weeks of being here, I walked into my apartment to find my Israeli roommate, Ruthy, cooking up a big pot of – you guessed it – lentils. 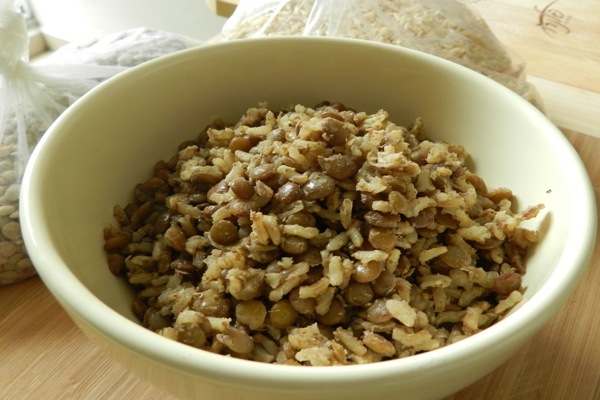 She proudly announced that she was making mujaddara, a very traditional Middle Eastern meal of equal parts lentils and brown rice, and that she was making a massive amount of it because she was sure everyone would love it. I must have had quite the unenthused look on my face, because the next thing she said was something along the lines of “what do you mean you don’t like lentils? !” Clearly there was something wrong with me. Or I had just never had mujaddara. Note: I included salt and pepper in this recipe, but Ruthy usually only uses cumin, sometimes adding a little bit of salt. If you have ground coriander on hand, I would also recommend adding it along with the cumin – the more flavor the better! In a medium-large pot, heat the olive oil over medium-high heat. Lower the heat slightly and add the onions, cooking until golden brown. Add the lentils, rice and spices and sauté for an additional minute. Pour in 3 ¼ cups water and cover the pot. Let cook over medium-high heat for about half an hour, stirring occasionally. 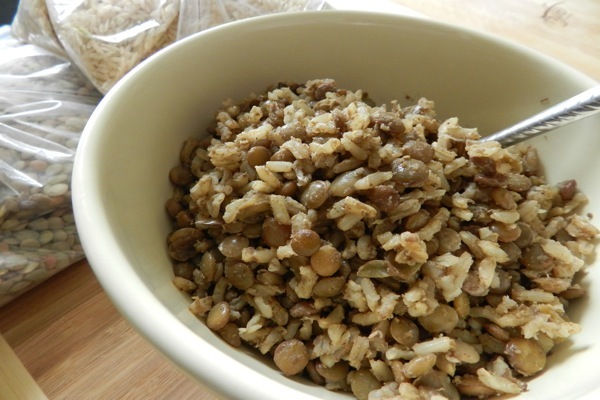 Keep an eye on the liquid level as you may need to add more (the only way to know whether or not you need to add more liquid is by tasting it – you want both the lentils and the rice to be cooked through). Spoon a healthy portion into a bowl, adding more spice if you want, and eat hot. Your photos look so good, Sarah, especially considering the whole “smallpox” thing haha. I like how all the colors are neutral to match the dish. It’s so hard to take good pictures of food that’s just… brown. These are great! Thanks Jen! You’re right, photographing neutral colored food is a bit challenging, and lentils aren’t the prettiest. It took me a few tries to get a good photo, and I really appreciate the compliment! !